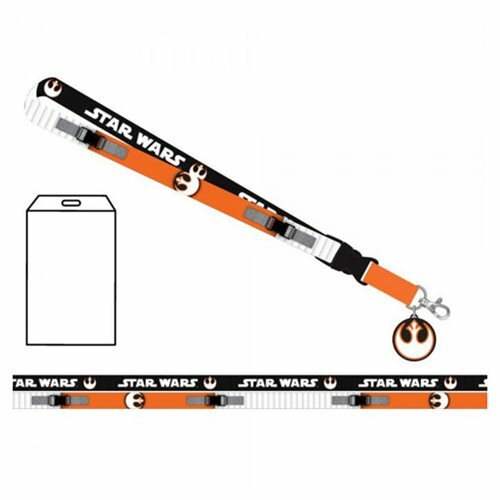 Keep your keys safe and sound while running away from the Empire with this Star Wars Rebel Lanyard. This lanyard is attached to a clip and comes with a charm featuring the symbol of the Rebel Alliance. It also has two safety breakaway buckles and one quick detach buckle for easy use of your keys. Ages 14 and up.